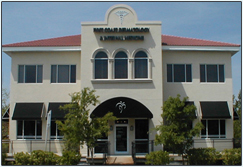 Welcome to First Coast Dermatology Associates! We pride ourselves on providing the highest quality dermatologic care to our patients in a compassionate and caring setting. Our entire staff is dedicated to making your experience as a patient the most pleasant and impressive you have ever encountered. Dr. Alison Moon, Dr. Chelsy Marty, Dr. Ines O'Shaughnessy, Dr. Stephanie Ortman, and Elleanor Swartz, P.A. are leaders in their field and their expertise is reflected in the quality care provided in our office. We offer thorough, patient- centered care which has earned our practice a reputation for providing unparalleled service. Once you have experienced the level of care offered here, we know you will agree. Our expertise covers the entire spectrum of medical dermatology including adult, pediatric and adolescent care. We also offer the latest cosmetic procedures for aesthetic enhancement and rejuvenation. All of our Doctors are Mayo Clinic graduates and continue to practice in a manner reflecting their training at one of the world’s premier medical institutions. Our physicians routinely collaborate and consult with each other on both interesting and complex cases. In addition, our practice serves as the primary pediatric dermatology training site for all Mayo Clinic dermatology residents in Florida. Our doctors enjoy teaching, and by doing so remain at the vanguard of their field. Thank you for the faith you have placed in us and welcome to our family of patients! We look forward to being your partner in health and wellness. Alison O. Moon, M.D. Chelsy Marty, M.D. Ines O'Shaughnessy, M.D. Stephanie Ortman, M.D.